The Prime Minister’s Office will also take part in the scheme, said Dash, although it was not clear whether Modi would be enrolled. Project mastermind Sharma, who holds the rank of secretary at the government’s Department of Electronics and Information Technology, could not immediately be reached for comment. The Biometric Attendance System showed he had signed in at work at 13:55:16 p.m. on Thursday. Now, 59-year old Sharma is building an attendance system for India’s central government employees that is inexpensive, publicly available on the internet—and potentially, a simple tool that could revolutionise governance in the country. The government is looking for a new parent for the Unique Identification Authority of India (UIDAI) as it prepares to wind up the Planning Commission, which had so far been the administrative authority for the body that has been tasked with issuing chip-based, biometric photo ID cards, called Aadhar, to all Indians. The status of the project was in doubt when a new federal government was voted in last May, as the winning Bharatiya Janata Party had said during the election campaign that it would review the program. The new target signals the new government’s backing of the Unique Identification Authority of India (UIDAI), which was largely seen as a project of the previous government led by the Congress party. 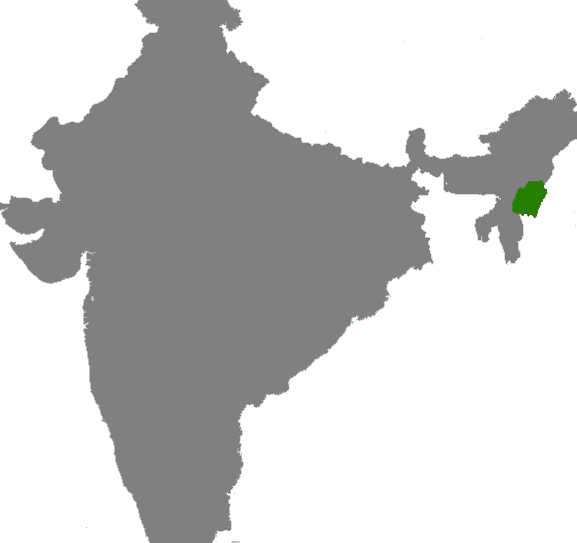 Manipur is a state in northeastern India. The Prime Minister’s Jan Dhan Yojana, aimed at opening bank accounts for the poor, also provides for accident insurance cover of ` 1 lakh, medical insurance of `30,000 with a free debit card for those who open accounts before January 26, 2015. This ambitious scheme of had another dimension — the possibility of the poor opening fake bank accounts to claim the benefits. To prevent that from happening, the 12-digit biometric-based unique identification number can play an important role. INDIA: Government to continue Aadhaar, provides ₹20 billion in 2014-15. The amount provided for the project for this fiscal is higher than Rs 1,550 crore provided in the previous year. 20 billion rupees is approximately 332.5 million US dollars. Prime Minister Narendra Modi has struck the right note by stepping in quickly to clear the confusion on Aadhaar cards and asking to scale up enrollments to 100 crore people over a short period. This will help the government accelerate direct benefit transfers to the poor, reduce leakages and bring down the fiscal deficit. It looks like India’s new government is giving UID some room to run. 100 crore is a billion people. This is big news indeed. Three NDA ministries are trying to pull the UPA’s signature project, Aadhaar, in different directions, threatening to further slow down the plan to give all residents a unique identity number (UID). Bringing full citizenship rights to poor, illiterate landless Indians brings with it a near-certainty that full citizenship rights will be conferred upon some number of poor, illiterate, landless non-Indians living in India. If you’re interested, I’d encourage you to read the whole thing. Also, the India, UID and NPR labels in the footer of this post call up a lot of in-depth analysis of what’s going on with the most ambitious ID project ever conceived. It appears that the entities that collect enrollments and then charge the government for them are uniting to resist requirements that they do their job better. It’s also worth recalling that some of these agencies have behaved quite badly and at least one has been willing to create enrollments for vegetables, so standards could probably be higher.